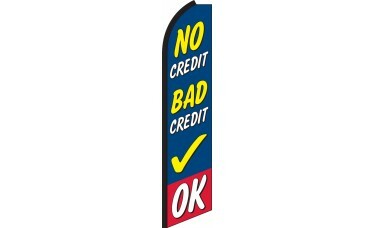 Our No Credit Bad Credit OK Swooper Feather Flag features a blue background printed with the words "No Credit Bad Credit" in bold yellow and black text with a black outline. Beneath the text is a bold yellow check mark. At the bottom of the flag, there is a red field with the word "OK" in bold white text with a black outline. 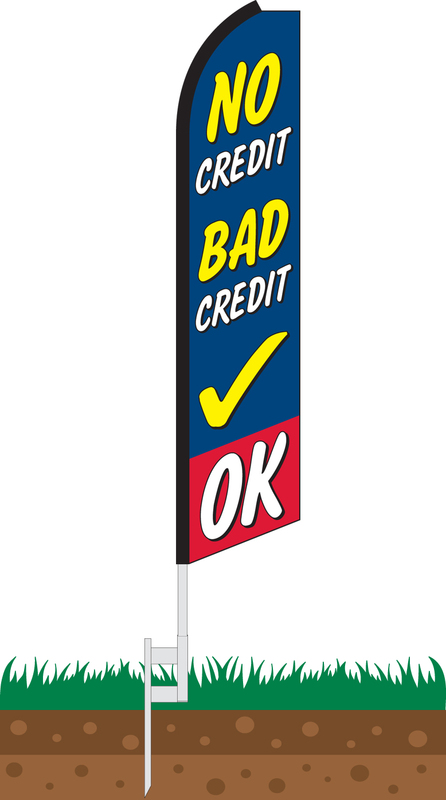 This flag is a great way to attract customers to a used car dealership who are concerned that their poor credit may make it difficult for them to purchase a vehicle.